Pribram's assertion that our brains construct objects . Bohm's conclusions: that we even construct space and time.Considered together, Bohm and Pribram's theories provide a profound new way of looking at the world: Our brains mathematically construct objective reality by interpreting frequencies that are ultimately projections from another dimension a deeper order of existence that is beyond both space and time: The brain is a hologram folded in a holographic universe. For Pribram, this synthesis made him realize that the objective world does not exist, What is "out there" is a vast ocean of waves and frequencies, and reality looks concrete to us only because our brains are able to take this holographic blur and convert it into the sticks and stones and other familiar objects that make up our world. How is the brain (which itself is composed of frequencies of matter) able to take something as insubstantial as a blur of frequencies and make it seem solid to the touch? . When it is filtered through the lens of our brain it manifests as a solid.. But if we could get rid of our lenses, we'd experience it as an interference pattern. Which one is real and which is illusion? "Both are real to me," says Pribram, "or, if you want to say, neither of them are real." Try Watching [ The Universal Mind ] oneself watch. Although the variety of molecules and materials populating the universe is enormous, the building bricks are just two, a spheric IN-Wave and an Out-wave. Every homeopathic dilution by succussion or trituration sends outward quantum waves and receives in response the spherical in-waves from the Universe. Quantum particles are wave structures, produced by the properties of the Quantum Wave Medium, carry light and subtle energy that can create Matter.In the laboratory, these wave structures have measured properties identical to what we call mass and charge. With higher homeopathic dilution,accordingly, Mass and Charge substances, as such, do not exist. 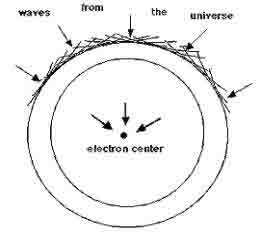 Einstein's stumbled when he represented matter as a spherical force field rather than as a Spherical Standing Wave ,a primordial Harmonic Template, forged by cosmic fire,with all the extant vibratory signatures of the Cosmic Dust , giving rise to the spherical force field. Homeostasis is restored by an appropriate homeopathic potency to invoke co-resonance of " tissue memories " [ Dr.Mae-Wan Ho] triggered by the"Body Consciousness " of the evolving organism, from the Spherical Standing Wave, a Harmonic Template of the universe.
" Nature did it first!" This fact of nature suggests that the human brain during evolution, could have made use of this unique and mysterious means of communication , a phrase often spoken in hindsight after a new scientific advance. It is not unreasonable that our brain and other parts of our neural physiology are interconnected by an unseen communication network that coordinates and regulates behavior of certain parts of the body. Since energy exchange is not involved at this matter wave level, we would not have a sensory impression of logical thought, only an awareness of ourselves and our body. It is like watching yourself watch. WHAT, exactly, is a homeopathic potency ? And by what mechanism does the human body respond to the potentised drug ? Both these questions have had but scant place in modern scientific investigation. Yet they represent the foundation upon which the homoeopathic system is based. Even Homeopathists know little about the dilute drugs they dispense or the mechanism underlying the response of their patients. Orthodox physicians and a great many Homeopathists themselves have questioned all, but the lower potencies. There is much skepticism about drugs diluted to more than a millionth or a hundred millionth. Yet Hahnemann, who discovered Homeopathy, regularly used drugs in a one-decillionth dilution, and history records that he was extraordinarily successful. Von Boenninghausen, his pupil, who used much higher potencies, was one of the greatest healers of his time Evidently, the question of potency cannot be dismissed on the basis of one's opinion. It must be scientifically investigated. As for the body's response, it has been credited to suggestive factors or to spontaneous recovery. The same Von Boenninghausen was often asked to prescribe for sick animals, and he records that when he gave them the high potencies at which so many doctors of the day scofted, the animals recovered more prompty than ever. In this way, he thought he had disposed of the criticism that the cures were the result of suggestion, since it would be difficult for a physian sending a remedy by messenger to suggest to the animal, or the animal to suggest to itself. Boenninghausen was too naive. 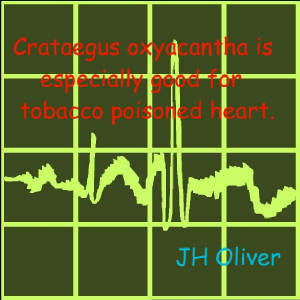 By the average doctor, Homeopathic or Allopathic, this part of his work was soon forgotten. We are obliged to re-examine this double aspect of Homeopathy in the light of the newer. science. For this purpose, the Foundation for Homoeopathic Research was established in 1918.The problem of potency (especially high potencies) has been a stumbling-block ever since Hahnemann's day-principally because, since then, potentization has never been approached de novo with a mind open to all the relevant facts. High potency Homeopathists have clung, tenaciously to Hahnemann's purposely non-committal expressions : " spirit-like " and " dynamic." They claim that as an imponderable a potency is incapable of scientific, analysis. Physicists examining the problem are, however, unimpressed by nomenclature. They find the potency hypothesis incompatible with physical facts. For this reason, it is futile for the Homeopathist to insist that potencies have been giving him clinical results for over a century. These two concepts, the vitalistic of the Homeopathist and the materialistic of the physicist, are the two extremes. Which comes closer to reality ? Briefly, the physical facts are these. A potency appears to be a progressive dilution through geometrical stages. Each potency stage reduces the amount of origi- nal material (solute) in proportion to solvent. After several stages the solute becomes very thinly distributed, just as the color of a dye becomes fainter the more water is added. Mathematics indicates that, when the dilution, is prepared in ten separate vials according to Hahnemann's instructions, none of the solute can remain in a dilution beyond the 10th centesimal. The use of a single vial to run up a potency is not permissible, due to absorption of solute by the glass and subsequent release back into solution - the so-called oligodynamic effect.2 As Wm. E. Boyd points out, " a subdivided cube divided in decimal stages will have, at the ninth stage, particle about 0.01u u in length of edge. The estimated diameter of one hydrogen gas molecule is 0.067uu , while that of the NaCl molecule is 0.26u u ." That is, the particle size in a 10th potency is smaller than the dimensions of the solute moleule, implying that that molecule has suffered fragmentation. But molecular fragmentation would at once destroy the characteristics of the substance, and these characteristics would be replaced by those of whatever component atoms happened to remain, at that particular stage of dilution.Yet for over a hundred years Homeopathists have been using and deriving benefit from potencies much higher than the 10th, and it has been their experience that the same indications are called for in using Arsenicum alb. 30th as 6x - and this despite the conclusion that the molecule of Ars. alb. (As203) evidently cannot survive the 10th potency. The physicist must at once make a bold adjustment of attitude. To him " potency " is a nebulous label for " dilution," and " dilution " means a more or less dense distribution of one phase (solute) in another (solvent). Since there is no way of accepting the presence of solute molecules in potencies above the 10th, and since these potencies nevertheless retain a characteristic solute effect , suppose that these potencies are not dilutions in the usual sense but express an entirely different function of matter ? What is this function, and amongst which phenommena must we search for its illumination ? Two interesting approaches to the problem are offered by the work of E. Pfeiffer on crystallization and Bridgman's investigations into high-pressure effects on ice. These approaches typify a group of diverse phenomena related to the potency question. They involve certain aspects of the behavior of different kinds of molecules to one another. [ J. Alexander4 lists some interesting cases.In paper traces of iron in the digestor discolor the whole batch. The senseof taste can detect one part of copper in a million of cofiee. The properties of metals are altered by impurities, and this fact is turned to advantage in the preparation of alloys. For instance, 0.05 per cent of lead renders gold brittle ; the conductivity of copper is reduced 39 per cent by the addition of .216 per cent of arsenic : one part of carbon to 10,000 of iron causes changes in property : and iron containing as little as .0l per cent of sulphur is useless as a catalyst. two or more atoms, of the same or dissimilar kinds, into a larger physical unit is called the molecule. And the molecule appears to be the significant unit in the phenomena of potentisation. Much of the internal electrical charges which leak out of an atom and enable it to form molecules is used up in the act of clustering. Some, however, remain " unsatisfied " despite the clustering and form a further residual field weaker than the original but sufficient to permit the molecules to adhere into still larger groups. Molecular communities of this type, often exceedingly complex, are known as " molecular aggregates." They are sometimes large enough to be visible, as in the case of crystals, which are really vast clumpings of invisible crystalline units. Since molecular aggregates cohere by means of feeble end-residual charges, they are relatively unstable except under restricted conditions, much more unstable than single molecules, which in their turn lack the powerful cohesion of the atom, in which all the attractive forces have their birth. Each kind of atom or molecule presents a characteristic set of residual charges. Hence, union of molecules into molecular aggregates tends to form structural patterns that are typical for each material ; another material, shaped by different residual forces, possesses quite a different structure. That is why approximately pure crystals of a substance always take the same pattern provided conditions are the same. Impurities, however, added to a homogeneous particle system introduce new electrical factors of their own which modify the cluster-tendency of the original molecules. Hence the changes in property suffered by a substance containing impurities. These facts should be kept in mind in relation to what follows because they are intimately linked to the mechanism of potentisation. and properties of substance. In part, of course, the " formative forces " are the electrical agencies described in the previous paragraph. He began experimenting with artificial frost-patterns and found that their shapes were profoundly modified by impurities. Presently he turned to mineral crystals, which were more easily controlled. He found that a pure copper chloride solution gave a constant crystal formation when the environment was fixed. He then deliberately introduced impurities and found that the resultant modifications of the normal copper chloride pattern were always characteristic for the material added. This was also the case for added blood. In fact, the crystallization differentiated between human blood and blood from every species of animal. Finally, Pfeiffer by very pain taking techniques discovered that there was a typical copper chloride crystallization for healthy blood. And blood from an ill person further modified the crystal pattern a:nd so differently depending on the disease from which the blood donor suffered. crystallization effects from added substances in a 10-8° dilution (15th potency). This is far beyond the point (10` 20) where the salute molecules would have to be subdivided for perpetuation of solute according to physical theory. And the same kind of crystal pattern occurred whether the impurity was added in medium concentration or as an ultra-molecular dilution, just as the indications for a homeopathic drug remain unchanged regardless of the degree of potency in which it is given, low or high. Only that a high dilution crystallization produced a far more delicate crystal structure, and one more susceptible to irrelevant factors. dominant factors affecting the natural flakes are coarse compared with the highly attenuated impurities used by Pfeiffer. As one studies Bentley's published collection of over 2000 photographs of flakes, it is interesting to observe how the tracery in individual cases reminds one of various plant or flower forms. One cannot help wondering whether the roots of last season's growth or the seeds about to sprout in spring, do not exert a formative influence on the details of flake structure. It is not a fantastic thought. Pfeiffer's published crystallization pictures show clearly that the factors in a plant determining its structural arrangement tend to reproduce that structural plan in the crystal patterns when plant extract is mixed with the copper chloride solution. Pfeiffer himself says : " It is easy to discern a relation between the crystallization forms and basic forms of the plants themselves.... It is undeniable that each plant extract produces an individual typical form. Thus, the straight spiked leaves of the century plant (Agave americana) are reproduced in the sharp, thin, concentric needles of the crystallization ; whereas waterlily flower extract (Nym phaea ) produces a plumelike, closed arrangement. In A lecture Pfeiffer once showed crystallizations of a straight healthy pine and of a pine twisted as a result of disease. The difference in the form of the trees was clearly reproduced in the crystallization, showing how powerful are the formative agencies at work. These agencies are evidently precursors and directors of the physical confi-guration in the case of plants as well as of human beings. Moreover, crystallizations of wheat, potatoes and other foodstuffs indicate the quality of the plant by the crystal pattern. Healthy, vital plants invariably give sharper, better defined, and more regular patterns. Nevertheless, it continues to manifest an effect which bears the impress of original solute, as if the solvent had been permanently modified by a formative agency from the solute. And it is with this permanently modified solvent, representing a hypothetical dilution of 10'3°, that Pfeiffer succeeded in obtaining altered crystal patterns. Langmuir8 of General Electric evolved a technique similar to Pfeiffer's. He observed changes of stearic acid crystallizations in the presence of minimal amounts of impurities. The stearic acid was deposited as a mono-:nolecular film on the surface of water in which the impurities were dissolved. The acid was then scooped up and crystallized. Each kind of impurity characteristically modified the normal stearic acid crystal formations. Just as Pfeiffer elaborated a diagnostic procedure with regard to blood, so Langmuir elaborated a diagnosis of the impurities present in water. The diagnostic reagent was the crystallizable stearic acid. From the crystal arrangements it was possible to tell what were the impurities in the water. And the method was delicate enough to detect one part of aluminum in 500 million of water. the last solute molecule in the process of potentisation.We are now justified in asking : What possible impress could be carried by the mobile molecules of solvent ? So long as solute particles remain, they exist either in solution or as colloidal dispersions. Eliminate them, however, and what remains except sterile solvent ? Until recently physicists considered the very nature of liquids to be structureless, because of the wide, disordered orbits of their molecules in thermal agitation ; yet the retention of an impress would seem to require the rigid structure of a solid body. These interrogations are important. Let us carry them a step further and ask : What is the proof that liquids are structureless ? There is, as a matter of fact, no such proof. But many experiments suggest on the contrary that liquids possess some sort of large scale molecular organization. Bridgman,9 working with ice under high pressures in carefully constructed pressure chambers, found that at various levels of increased pressure the ice crystals underwent sudden structural changes. As these changes occurred in a fixed order with rise of pressure and at definite pressure levels, he numbered them consecutively 1, 2, 3 ... and so on. Then he discovered that if ice in one of the median pressure-states was melted back to water, upon refreezing at the same pressure the crystals snapped at once into the structure normal for the pressure without passing through the state regularly preceding ; that is, ice type No. 3 formed at once without first going into type No. 2, which it would invariably do when frozen from fresh water and subjected to ascending pressures. Another way of saying this would be that the water melted from the ice retained a memory o f the structure it had acquired under pressure, an impress of the abnormal frozen state, and was able to reassume that structure by skipping an intermediate stage. When water was allowed to stand more than several hours it lost the impress. a state, not of an impurity. Both cases are alike in that they articulate a modifying agency not associated with the gross, physical influences that accompany an impurity in solution.The modification, the " memory ", is somehow linked with the structure of the liquid. As regards the physical structure of liquids, more evidence has been lately uncovered. Liquids are considered to be amorphous ; that is, the molecules of a liquid are said to be oriented at random. with respect to one another instead of being arranged in a regular space lattice as is the case with crystals. Recent with X-rays however has shown that most substances formerly supposed to be amorphous, such as metals, are not so ; and J. Alexander ( 10 ), speaking of the X-ray diffraction patterns which are always obtained from materials with structural orientation, says that " Even liquids produce diffraction halos indicative of transient molecular arrangement in the course of thermal agitation." Such molecular arrangements are basically determined by the physical composition of the liquid plus the influence of disolved impurities. [ It should be recalled that Swan prepared the so-called " imponderables " by placing a substance to serve as vehicle in the path of a radiation and then proceeding to potentise the vehicle. Thus were born such members of the homoeopathic materita medica as " Sol " and " Luna'; reputedly beneficial for those aggravated by the sun or at full moon. Swan solid vehicle could as readily assume an impress as the solvent of a homeopathic potency or as Bridgman's water. It is not necessary for the vehicle to be liquid, and theoretically Swan was justified in exposi:ng sac. Iac instead of the usual water or alcohol. and the actual molecular orientations would be a compromise between the attractive electrical forces and the dispersing kinetic activity of the molecules. So far, the cardinal objections to the whole problem of ultramolecular potencies have been the arithmetical calculation showing that molecules cannot survive the 10th centesimal potency ; the inability of physical instruments such as the spectroscope to demonstrate characteristic solute effects in such high potencies ; the unreliability of scattered and uncontrolled clinical results where such potencies were administered ; and the lack of imagination on the part of students in collecting the relevant evidence from varied sources. Heintz pitted these tests against the absorption spectrum of distilled water, there is no doubt of the importance of results, particularly with the potencies beyond the 20th decimal in the ultramolecular region. These facts. suggest the ability of a liquid to assume a structural impress or " set " which can be maintained after the impressing agency has been withdrawn. solute assistance, as shown by the fact that an ultra-molecular potency continues to give a characteristic modification of crystal pattern and also carries on the alternation of effects shown by Heintz's infrared spectrograms. Once, indeed, a solvent has acquired a " set " it tends not on:ly to preserve it unaided throughout its own volume but to communicate it to fresh, sterile solvent. This process of communication, or Reinfection, is peculiar. Wm.E.Boyd working with the Emanometer has shown ( 12 ) that unless succussion is used in the preparation of a potency, its activity soon disappears presumably after the ultramolecular point is passed. * To Wm. E. Boyd we are also indebted for the proof that dry heat _if applied long enough to an ultramolecular potency dissipates its characteristic activity and, presumably, destroys the molecular "set" impressed. by the solute. Heat is a form of energy especially associated with the kinetics of molecules, another indication that high potency effects are connected with the molecular activity of solvent. Dr. Wm. Powel once observed that some of the 200th potencies in his clinic, kept over a radiator, became inert and had to be replaced with fresh potencies before they could be effectively prescribed. This corrobrates Boyd's findings in a clinical way and shows that a potency pronounced inactive by the Emanometer technique is also inactive clinically. It also points out to skeptics that the factors detected by the Emanometer are the same that operate in regular homoeopathic prescribing. kinetic energy conferred by succussion is of the coarse order that would reach chiefly the molecules and molecular aggregates. The actual mechanism of such infection is still obsscure but it might be patterned after the action of autocatalysts which are capable of duplicating themselves by absorbing from the environment in a fixed order the successive mol cular subunits necessary for the creation of an identical whole. The new unit, upon completion, is released, the process continuing until the available subunits are used up. Although autocatalysts are generally complicated bodies like the enzymes, the molecular aggregate of a liquid is conceivably labile and complicated enough (much more so than inorganic single molecules) to possess the power of reduplication. Labileness is essential (else the molecular aggregate would resist modification) and is especially characteristic since the aggregate is bound together by the weakest of cohesive agencies, by " left-overs " from the electrical forces cementing the molecular units. _And a complicated structure is important in this case because of the infinitude of rearrangements it is able to assume without changes of a chemical nature. not possible for inorganic substances. Thus, a recreation or imitation of an original pattern (i.e., the solute pattern) appears to take place amongst the molecular aggregates of the solvent.This imitative configuration is of a spatio-temporal nature, a true mimicry in orientation on the part of molecular aggregate, just as the original set of genes the fertilized ovum is duplicated in every cell of completed creature. It would be difficult to conceive otherwise, the solvent could reproduce the solute characteristics. Since the various cyclic effects are orderly, they reveal the operation of a. progressive something in ultramolecular potencies. molecular potencies. We have said that the mechanism of potency perpetuation is a change in the configuration of the solvent molecular aggregations and that this configuration, imitative of the molecular structure in the original solute, is propagated indefinitely under suitable condition: If this imitated pattern were identical in each dilution, all dilution effects beyond the molecular point would be identical for any given series of tests utilizing the same materials. Persson in his work with enzymes would have obtained uniform instead of alternating effects. Boyd would have found no difference registered by his instrument amongst vials of the identical dilution each subjected to a different number of succussions. Pfeiffer writes that the higher the potency used in a crystallization the more delicate is the pattern and the more difficult is it to isolate the sublimated potency effect from gross influences of the environment. How these infinitesimal potency gradations are yielded by the molecular structure of the solvent, we do not know. In part, this is made possible by the complexitiy of molecular aggregates, permitting of many and slight rearrangements in time and space amongst its components But the precise mechanism is obscure. We know little beyond the bare fact that a potency effect is progressive instead of random. The process of potentization involves a directional effect. And this is exactly what we shoulc expect from clinical experience. effect of a high potency, and hence the molecular "set" it seems to depend, persist no matter how many stages of " dilution " are undertaken, provided always that some form of mechanical agitation takes place. We will wait to see whether further research will change the picture drawn here. Succeeding stage with a dynamic quality.. ( 16 ). This was long before modern precise knowledge of atoms and atomic constituents but the general theory of atoms had been already propounded by Dalton and his followers. Jaricot ( 17 ) and others have also come close to the potency concept . But, as we have seen, the labors of many men were needed to confirm Korsakoff's intuition. Pfeiffer went through his work with ice crystals and copper chloride. Langmuir discovered the sensitivity to impurities of stearic acid films. Independently, Bentley showed to what an - extent snowflakes differed in the details of their form, although the basic hexagonal pattern remained the same. Bridgman uncovered the curious behavior of ice under pressure. Persson and Heintz, one from the biological and the other from the optical side, disclosed the cyclic activity of potencies. And Boyd, working with one of the most delicate of techniques, established as a physical reality aspects of high potencies which were unproved, or theoretical . From this, convergence of research has emerged the of potencies described in this essay. For the first time ,we are able to rise above Hahnemann's purposely vague phrase, "spirit-like." We are beginning to graduate from a qualitative to a quantitative study. And the potency problem, no longer an abstraction, enters the domain of PHYSICS - Sympathetic Vibratory Physics. The physical and biological commentaries should, however, not be separated in the mind. They belong together. 3. Wm. E. Boyd : Electromedical research and homoeopathy, Brit. Hom. Journ., Zp : Oct. 1930, 304. 4. J. Alexander : Colloid Chemistry, 4th ed., New York, 46-51 ; Colloid state in metals and alloys (reprint). 5. E. Pfeiffer : Formative Forces in Crystallization, 1936 ; Sensitive Crystallization Processes, Dresden, 1936. 6. W. A. Bentley : Snow Crystals, New York, 1931. 7. .T. Cecil Maby and T. Bedford Franklin : The Physics of the Divin-ing Rod, London, 1939, esp. chap. V.
8. I. Langmuir and V. J. Schaefer : Effect of dissolved salts on insolu-ble monolayers, Amer. Chem. Soc. Jour., 59 : Nov., 1937, 2400-14. 9. P. W. Bridgman : Proc. Am. Aca. Arts & Sci., 47: 439-560. 10. J. Alexander : Colloid Chemistry, 274. 11. E. Heinta : Fhysikalische Wirkungen potenzierter Substanzen (reprint). 12. See the various articles by Boyd in the Brit. Hom. Jour. beginning with Oct., 1922, esp. : Pharmacopoeial difficulties in homeopathy, 24: Jan., 1934, 36; The Boyd emanometer research and realted physical pheonomena (reprint) ; Potency variation, 27: Apr., 1937, 87 ; Hahne-nzann in the light of homeopathic research, lour. Amer. Inst. Hom., 28 : Mar., 1935. 13. J. Alexander : Catalysts, catalyst-modi)iers, life and the specificity of vital processes, reprinted from Biodynamica, No. 54, 1939, 6-12. 14. 1W. M. Persson : The principles of catalysis in biochemistry and homoeapathy, lour. Am, Inst. Ham., 23 : Nov., 1930, 1055-89. 15. Wm. E. Boyd : The action of microdoses of mercuric chloride on diastase, Brit. Hom. Jour., 31 : Feb., 1941 ; Potency variation, Brit. Hom. Jour., 27 i Apr., 1937, 87. 16. Quoted by B. Woodbury, M.D. : Inter. Hahn. Assoc. Trans., 1925, 93. 17. Jaricot (abstracted by S. A. Klein) : jour. Ana. Inst. Hona., 29 : Nov., 1936, 700-703.